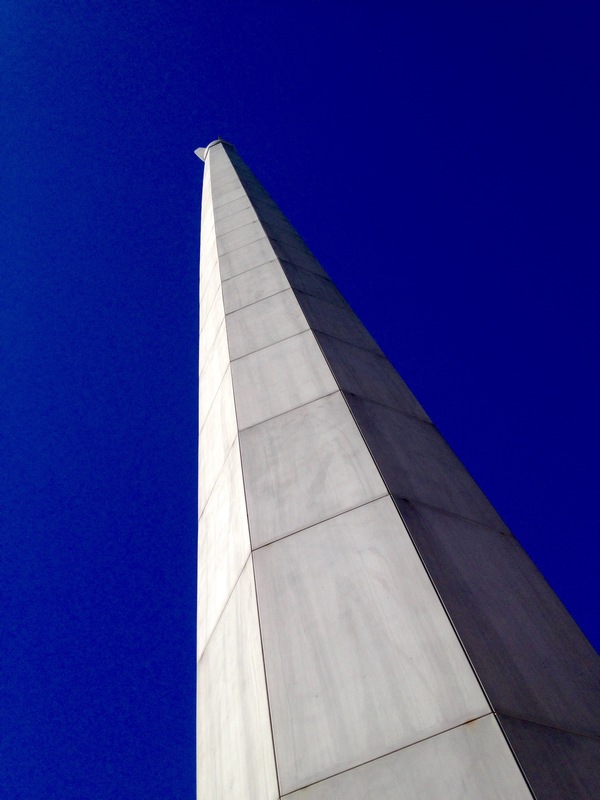 Captured from the base of the column, the Australian-American Memorial is located in Canberra and commemorates the role of the United States of America during the Second World War. 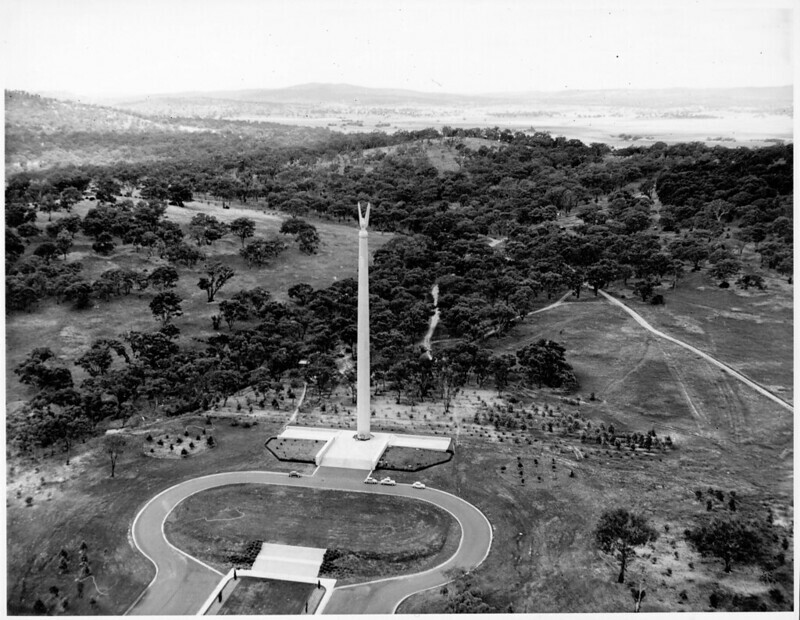 Unveiled by Queen Elizabeth II on 16 February 1954, the memorial took over a year to construct and was financed by the Australian people after an appeal by the then Australian Prime Minister, Sir Robert Menzies. The 73 metre tall column is hollow and has been sheeted with aluminium panels, which were sandblasted to create the effect of stone. Atop the column rests a stylised North American Bald Eagle, being both the national bird and the national animal of the United States. The Memorial was originally bordered by bushland, which has since been cleared and now is located on the site of the Department of Defence and the Australian Defence Force complex in the suburb of Russell Hill.